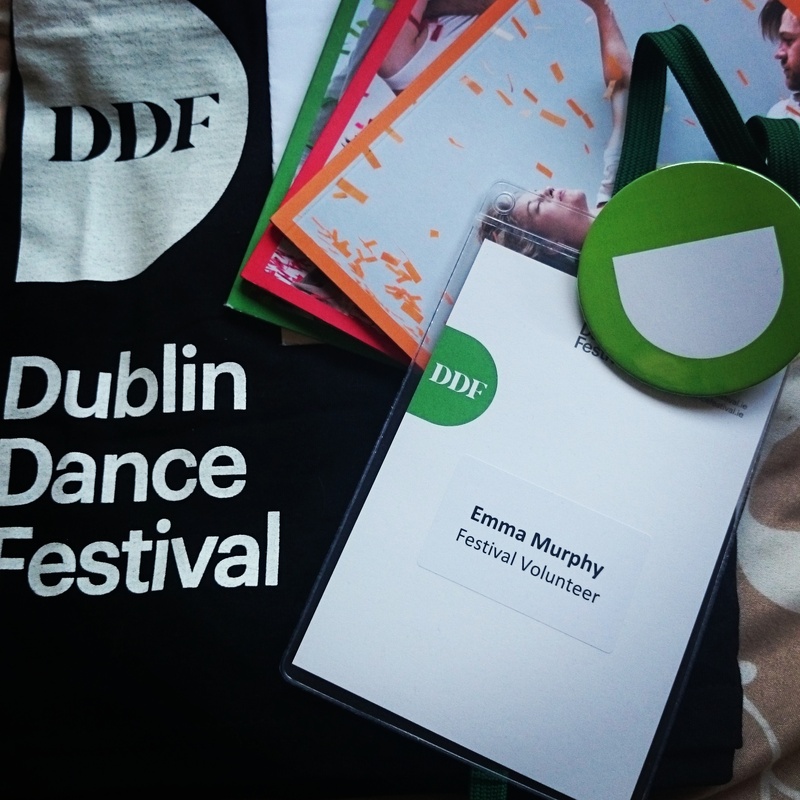 So I recently just finished up volunteering for the Dublin Dance Festival and I have to say that it was an amazing experience.This year was the 10th anniversary of the Festival and it has become a leading event in the arts calender in Ireland. I decided to sign up for volunteering as I was free for the summer and was looking for something to keep me busy and out of the house, as I would just end up spending the time on the couch watching TV or being on my laptop. I love to dance as well and thought this would be a great opportunity to meet others who are also involved in the dance world and love it like me. I was one of around 30 volunteers at the festival who helped out as the festival team was quite small with only around 10 members. We were there to help with everything from front of house at venues to helping in the box office with tickets to picking up artists preforming in the festival. It really was amazing to be able to see the behind the scenes organization that goes into executing a festival like this. Everyone at the festival were so nice and welcoming which was great especially for me as this was my first time volunteering at such a big event and they made me feel so at ease. Within the festival I had to do a couple of artist meet and greets which really pushed me. I am not a very shy person but with strangers I can be quite quiet at first but with these pick-ups I had to push myself to make them feel at ease and engage in conversation with them. It really was an amazing experience and one I will never forget. 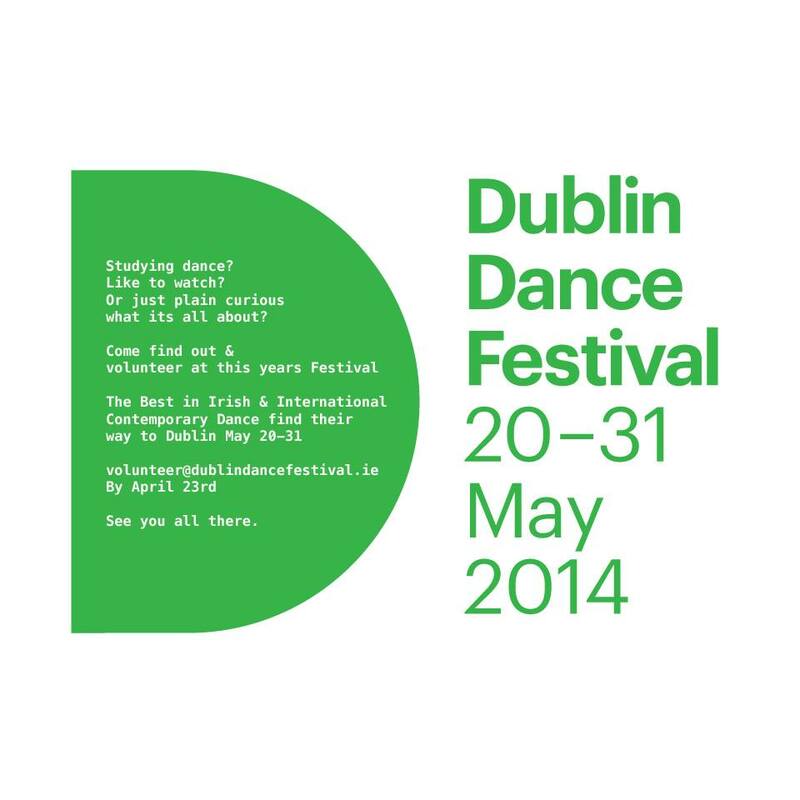 Along with this the festival gave me an opportunity to explore Dublin and get to know the city more. I live outside Dublin and don’t go into the city to often so I don’t know the streets very well but volunteering gave me a chance to become more acquainted with Dublin and more comfortable finding my way around. I hope to be able to volunteer again next year as it was such an amazing experience in which I met some wonderful people. 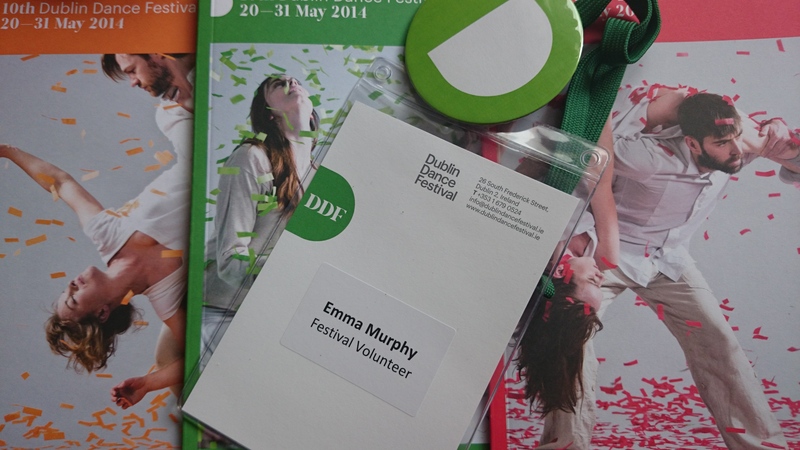 Thanks for this years festival, the volunteer staff where excellent. I was wondering if you met a girl calls Rachel, studying dance in Galway and also a volunteer. It’s concerning a theatre project. It’s unlikely that you would feel comfortable giving away contact info, but I just need some clues as to how I can find this volunteer that I was talking to on the last day of the festival. Hi Jack. I’m afraid I don’t think I met a girl called Rachel we must have had different shifts. You might be able to maybe email the festival team(check out the website) and they might be able to help you find her. Sorry I couldn’t be of more help. Best wishes Emma.